Did the economists miss the cognitive revolution? NB: I also posted this blog entry earlier today on http://historyofeconomics.wordpress.com/, with marginal modifications. 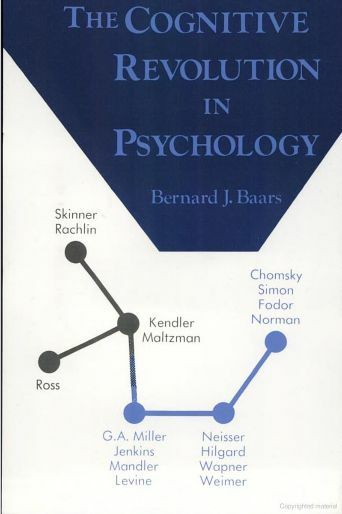 I am currently reading a fascinating book, “The Cognitive Revolution in Psychology” by Bernard J. Baars (1986). With a long introduction, it provides informative material for an outsider like me on how the cognitive turn played out in psychology, and presents a clear historical background getting back to Wundt and the early experimentalists, and the origins of the behaviorist revolution. Then it is followed by a series of interviews of participants in the cognitive revolution: from the opponents (Skinner and others) to the enthusiasts, and the followers. On the substance, I was stroke by how much behaviorism, which is the methodological orthodoxy that was overthrown by cognitive psychology, shares features with today’s textbook economics. Both share the status of a well-guarded orthodoxy: in their interviews, psychologists remember that behaviorism in psychology was exclusive, displaying a “nothing but” attitude: variables should be related to nothing but observable behavior, which disqualified the discussion of concepts like “memory” or “representations” ! Those words were taboo in psychology at least until the mid-1950s. Looking back, psychologists consider that the methodological rigorousness of behaviorism, which insisted that each concept be operationally defined and testable, had the effect to strip psychology from its substance: the study of cognition, consciousness, emotions and rational behavior were discouraged, virtually banned indeed, because these concepts did not readily translate into tightly defined behavioral variables that could be observed in an experimental setting. I could not help but be reminded of a similar taboo in today’s economics, where the formation of preferences, or how the process of choice unfolds, is declared “out of bound” right from the introductory chapters in microeconomic textbooks: only an individual’s observable behavior, as it is instantiated in the outcome of the choice it performs, is to be taken into account. 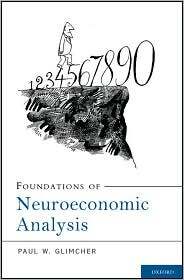 Reading this book, neuroeconomists will also be strongly reminded of Princeton economists Gul and Pesendofer’ essay published in 2008, in which they defend a “nothing but” approach to the revealed preference approach – dismissing any kind of evidence from “inside the head”, and advocating bluntly a “mindless economics”. Behaviorists (or operationalists…) of the purest ink! The cognitive revolution in psychology crystallized around the mid-1950s, early 1960s. Forty years later, nothing of that sort happened in economics, it seems to me. With behavioral economics and neuroeconomics, maybe that economics will jump directly to the next train: the neurocognitive turn. Or will it miss that one also? Post-script: on an approaching topic, Wade Hands has a paper forthcoming in the CJE, which is a nice read. That is big, really big. The free-rider problem is simple. It describes those situations when a group of individuals would benefit from a common action, but each individual separately would prefer not to make any effort to make this action happen. Like: as a group, we would like to have an environmental policy to stop global warming, but when asked how much tax I personally would be ready to pay to implement this policy, I refuse to declare that I’d be willing to pay much. Even if the amount that I would pay would be more than compensated by the benefits of an environmental policy! Simply because hey, if the environmental policy is decided by others and payed by others, once implemented it will also benefit me, so why would I bother paying for it? It is much easier to let others pay for it, and then, I’ll benefit from it anyway! It is the eternal problem of the free rider: “I would like to have the benefits of the collective action, but I would prefer if the costs were payed by my neighbor.” The problem is, of course, that if everybody thinks like that, then everybody states that they would not pay much, and the budget for the collective action is never gathered. That’s too bad, because the collective good would have enhanced everybody’s welfare! It has huge implications for tax policy, or any issue where a collective action would be required. And the difficulty faced has always been that when you ask people “how much would you be ready to pay for this collective good”, they tend to understate what they are really willing to pay – always hoping that the collective good will be build anyhow – but payed by their neighbors. What if we could “read” in people’s mind what they would really like to pay for a collective good? 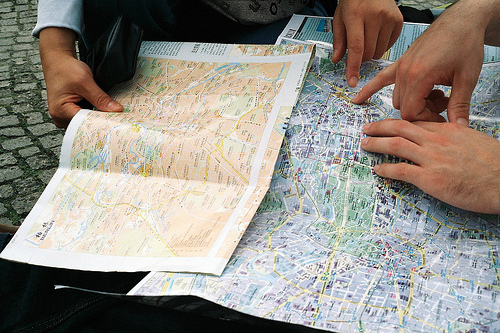 This would allow to know how much people would each be ready to pay for the collective action. The collective action would then be undertaken, only if its benefits would be superior to the sum of the payments that each individual declared to be ready to make. This is the experiment conducted by a team of CalTech neuroeconomists, just published in Science. They gathered groups of subjects, and scanned their brain while they stated the amount they were willing to pay for a given collective investment. To be precise, this what not a simple lie-detector mechanism: the accuracy of the scan to detect the “honesty” of your choice was just 56%. But it is enough to act as a threat to participants: they will be punished with heavy taxes if they are found to be willing to pay very little for an investment which will repay them much. It acts as an incentive for participants to reveal their true preference each time they are asked about a potential collective investment! The results of this “Neurally Informed Mechanism” as they call it are astounding: the total welfare achieved by this experiment is 93% of the ideal case, which means that free-riding has almost completely disappeared! This is a remarkable result, given that traditional experimental settings do not score better than 23%. 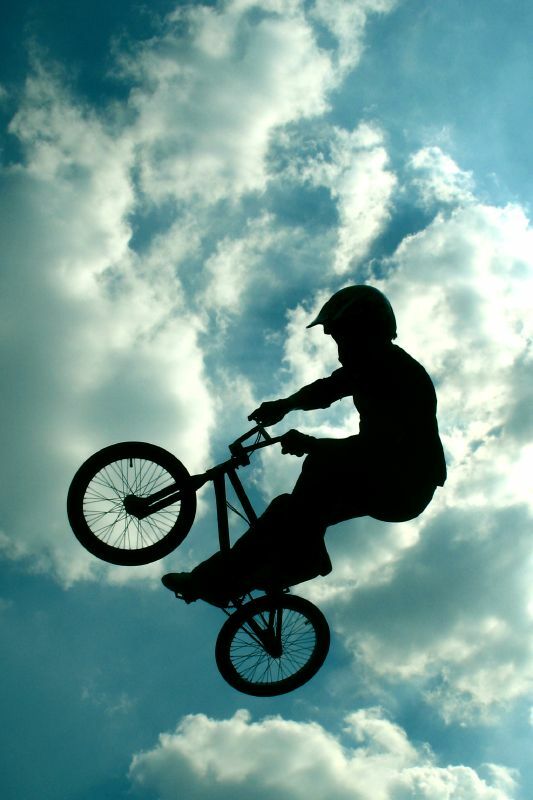 So, the free-rider problem, or the problem of collective action finally solved? Neuroeconomics made an interesting step in this direction. Huge! The study raises some questions though. For example, the procedure followed shows that the participants were convinced with lengthy, technical arguments that the “not free-riding” strategy was the most advantageous one. Those arguments were true, and the experimenters deduce that if the participants did not free-ride, it is because they understood it was in their best interest. But one can also object that they did not free-ride simply because they had been brain-washed about not free-riding: they simply trusted the experimenter and played in the fashion that was strongly suggested. If that is the case, then the 93% result is not so amazing. More about it? 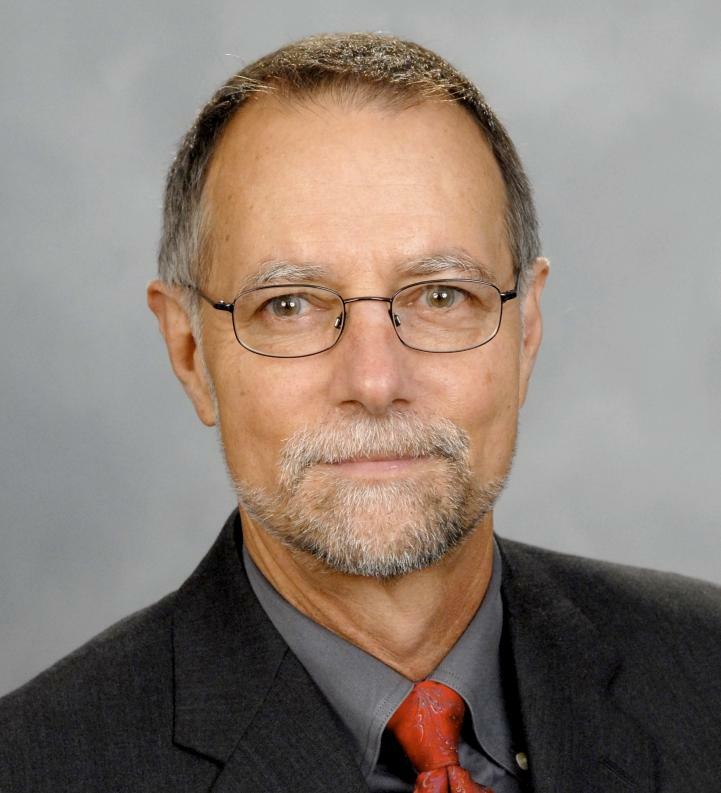 Antonio Rangel, an economist in the CalTech team reports on the Science article in an interviewed by James Hugues, from the Institute for Ethics and Emerging Technologies. Click here for the interview. Writing the title of this post, I feel like I indulge in a delicious sin. Indeed, if there is one taboo in today’s respectable history of science, it is certainly the search for precursors, originators, “first scientist to come up with a theory”, etc. That might sound strange to you, but there are good reasons for that taboo. One of them is that the search for precursors tends to reify ideas, a bit as if ideas were objects that were invented and patented once and for all (whereas one realizes soon that they keep changing in meaning, hence there is no historical origin to a “single idea”). Another reason is that by playing the game of “who got this idea first” seriously, you would almost invariably end up with Aristotle or Adam Smith if you are an economist, and that is boring. Anyway, I find it fun to transgress those very serious codes, and ask: who got first the idea for neuroeconomics? 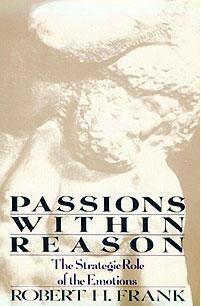 I just finished reading Robert Frank’s Passions within Reason, a book he published in 1988. This book could be said to be the first in neuroeconomics (Roman trumpet victory sounds in the background). Robert Frank is an economist who, as far as I can tell, is now also writing a lot in the press (NYT column, etc. ), and has become an intellectual figure, like a minor Paul Krugman maybe. So, why is Passions within Reason our winner? This book makes a perfect transition between two periods of the relationship between economics and biology. The period when Darwinian evolution was the hot topic (up to the eighties), and the period we live in now where the brain is the explanation for everything biological in economics. Yes, the two topics are clearly distinct. Before the nineties, you hardly find a discussion in economics about the neurocognitive dimension of economic behavior. Conversely, in today’s neuroeconomics the discussion of the evolutionary dimension of economic behavior is tucked away in a few pages of books in neuroeconomics (just check Gazzaniga’s textbook on Cognitive Neuroscience, or the textbook in neuroeconomics by Glimcher and al., both from 2008). And between those two periods, you have Frank’s book, which meshes the two: evolutionary explanations à la Jack Hirshleifer / Robert Trivers / Edward Wilson, and a speculative discussion of the decision-making system where “pure rationality” and “emotions” are both inputs in the brain systems which ultimately account for the behavior of the individual. A real precursor then, “prescient” that the brain was the next big thing, and “unjustly ignored” until now, as it befits to a genuine pioneer. Frank just lacked an essential piece of technology to become the Adam Smith of neuroeconomics: the fMRI brain scans (note: precursors always lack something, if they had everything they would be “new Adam Smithes”). The fMRI began to be used in social science precisely in the late 80s, and neuroeconomics as we know it today appeared with it. Soon, I will examine another candidate for the title of best precursor to neuroeconomics: George Ainslie and his picoeconomics. And you thought you knew about neuroeconomics ? Reading a column by someone called Paul B. Farrell on Market Watch, a website related to the Wall Street Journal news group, I realized that what neuroeconomics is to me did not correspond to Farrell’s neuroeconomics. At all. And they [neuroeconomists] are always one step ahead of you and whatever you think you get from their neuroeconomics books. They really are working for Wall Street insiders. What they’re doing is similar to DNA mapping, except the neuroeconomists use MRIs to map your irrational behavioral patterns, then, like a CIA intelligence team secretly monitoring the enemy, their quants develop algorithms that help Wall Street target the little guy with new “financial weapons of mass destruction” that manipulate financial markets. I don’t know for you, but I don’t follow that too well. As an observer of neuroeconomics, what am I supposed to do with this kind of strange material? I think it educates me on two scores. Second, this column is a plea for including “pop neuroeconomics” in the scope of the study of the field. The frontiers are just too blurred, and the exchanges between “academic neuroeconomics” (practised in universities) and pop neuroeconomics (practised in consulting firms and published in self help books) are too significant to ignore. How significant exactly? This column gives a clue of it, but I should be much more precise when I will have read extensively in this literature in “neuroeconomics for brainy traders” and “neurofinance: get rich in three days”. Wish me luck. Coda: a search on internet turns out this book cover. The vociferations of Farrell against the false promises that neuroeconomics would make to small traders appear in a much better perspective, now!